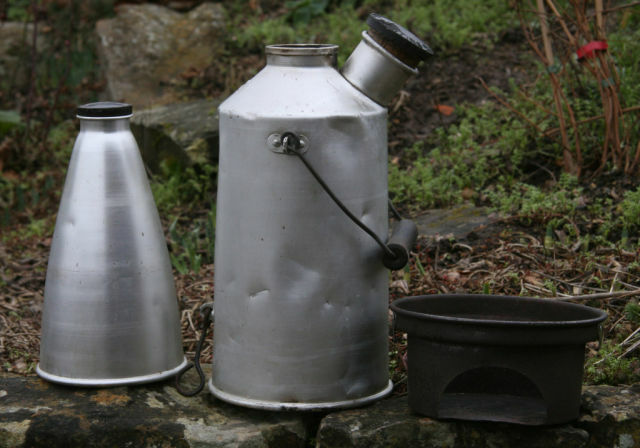 A vintage British made Sirram camping kettle. 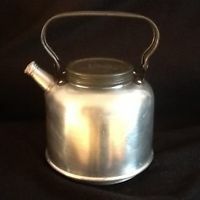 This small made in England aluminium camping kettle has a fold down handle, a little screw on spout lid and screw on lid (so you can fill it with water before you leave), and an inner tea infuser. Brews up! 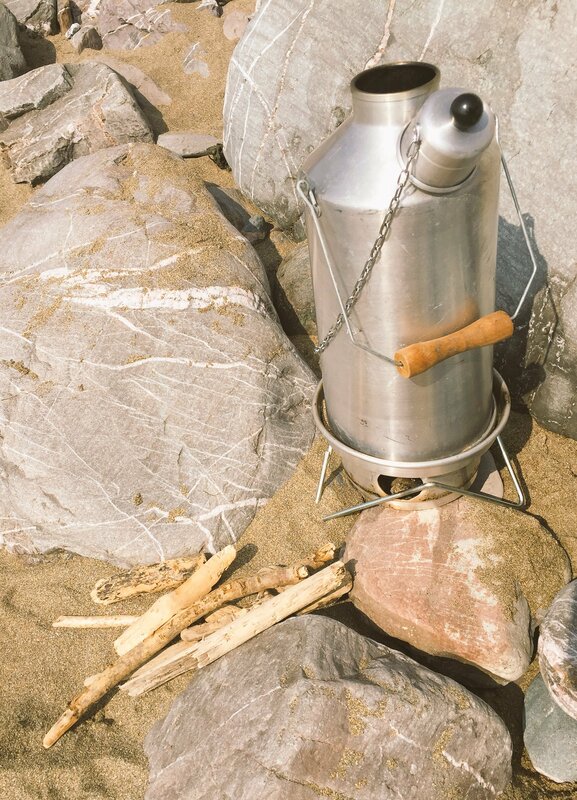 Drift wood powered @Ghillie_Kettles on Tregonhawke Beach. 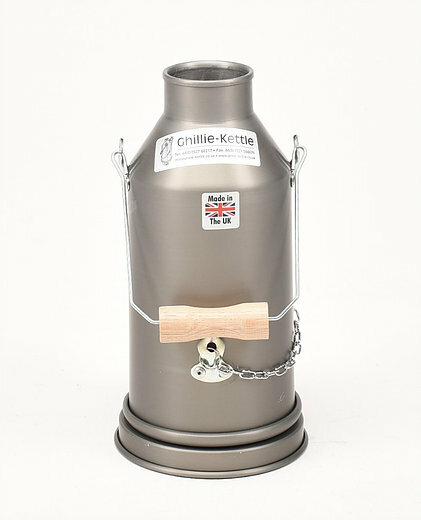 THE MAVERICK – HARD ANODISED Ghillie Kettle. Made in the UK. 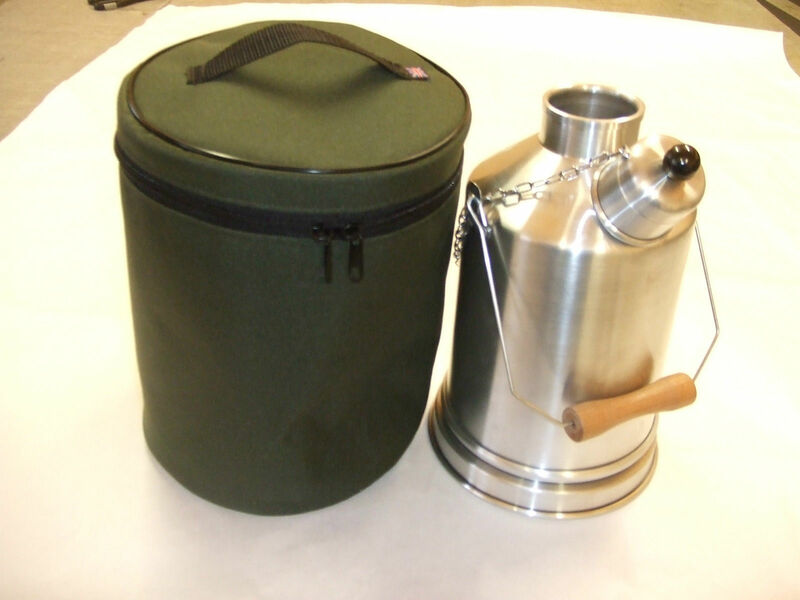 HEAVY DUTY CARRY CASE TO FIT EXPLORER 1ltr GHILLIE KETTLE made in UK by KDT. 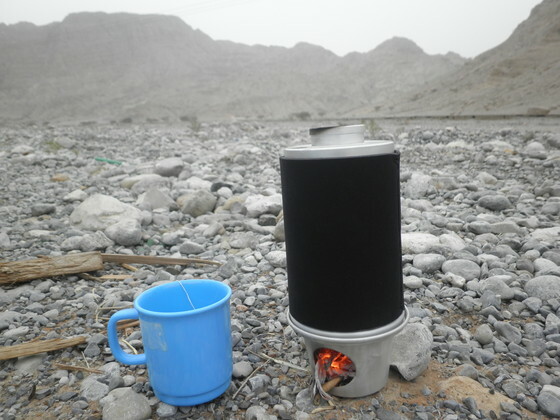 2011 an mKettle being used in the Wadi Bih Desert at the Oman and UAE border. 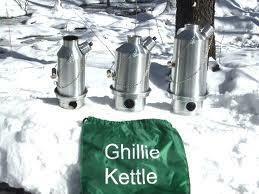 Primus stoves used to be made in Sweden or England, but these days they are made in Estonia. 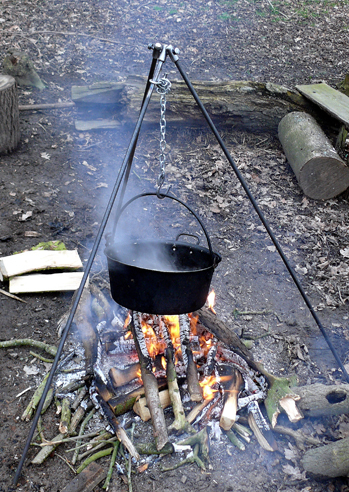 Bison Bushcraft Campfire Tripod. Made in the UK. For more kitchen items please click here. Strikefire – http://strikefire.com there website was under construction when I checked it today (25/6/15). 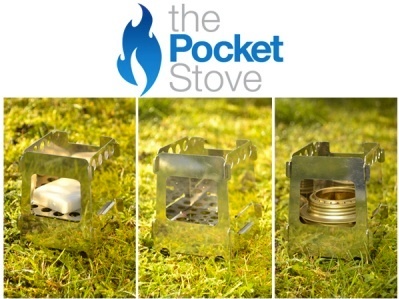 “Strikefire is the new brand for camping and extreme outdoor individualists. 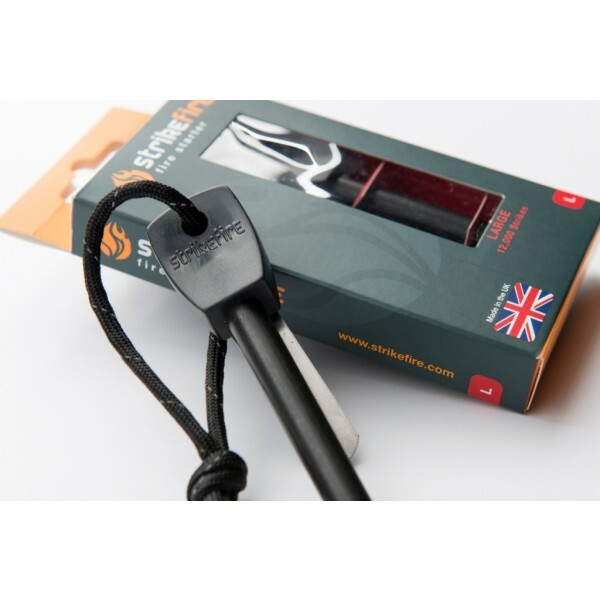 British design and made”.